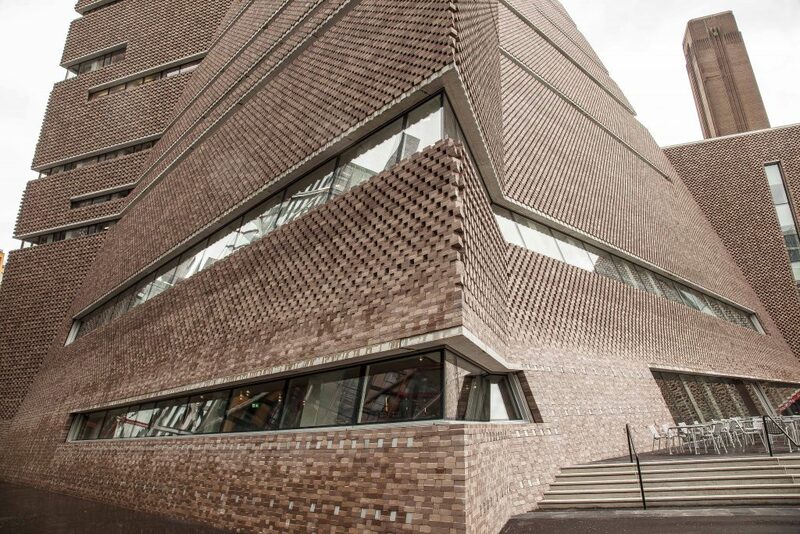 The new extension of Tate Modern, designed by Herzog de Meuron, is now open to the public. In twenty years the museum became so popular more space was needed. The extension tower, which cost £260m, fits there beautifully . 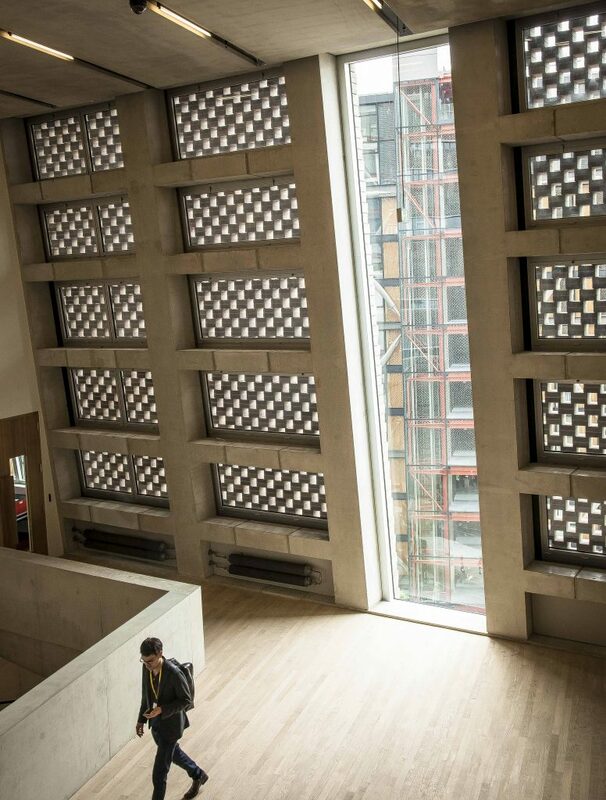 “We did not set out to build an iconic building”, Tate director Nicholas Serota states before the opening of the new extension. But of course it will be. 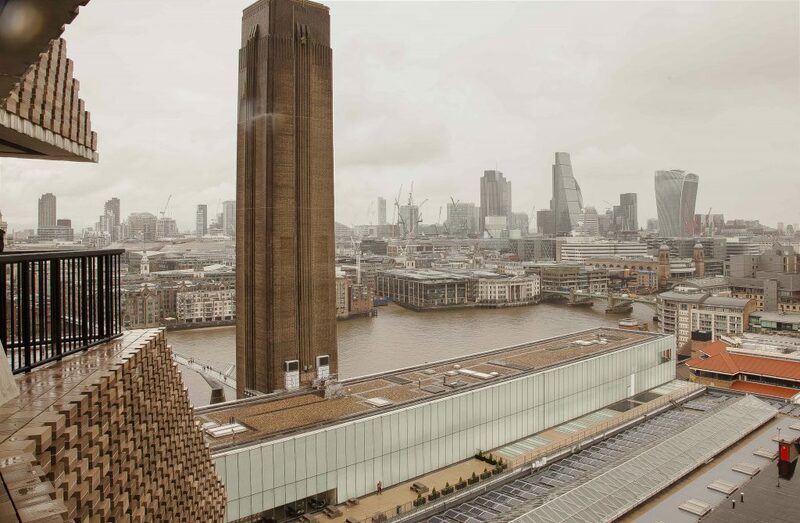 It is designed by Jacques Herzog and Pierre de Meuron, the Swiss architects who had already transformed the derelict power station into Tate Modern. 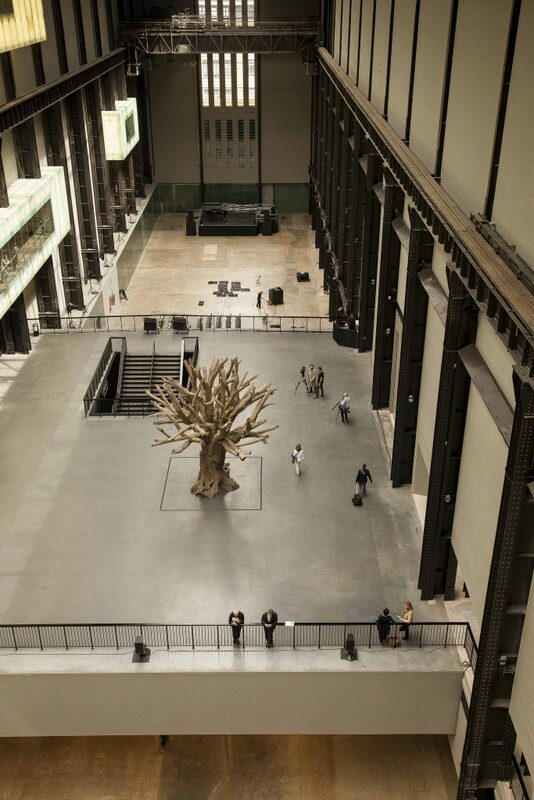 It has since become the world’s most visited museum for modern and contemporary art, making London a global cultural centre. The new extension, named Switch House, was initially planned as a glass box structure, but Herzog de Meuron changed their mind somewhere along the way. By 2009 they must have sensed that there was going to be far too many glass towers rising in London, and it was time to do something different. They came up with an alternative concept, covering the façade of the 10-storey tower with a perforated brick veil. This brick surface has a knitted texture, the very opposite of shiny, transparent glass. The narrow ribbon windows that break the façade horizontally, belie an interior where light actually plays an important role. While seemingly opaque, the gaps between the interlaced brickwork let in more light than you would imagine from afar. Tall windows, which illuminate the central landings inside, increase the flow of light. It’s all meticulously thought-out, showing a tactile sensitivity to light and materials. From the exterior the Switch House building manages to visually unite the various architectural elements on the Bankside area. Not only to the former power station, but also connecting with the other buildings. It’s a mysterious and commanding presence next to the high-tech Neo Bankside towers, cutting out the edge from the echoes and reflections that glass architecture creates, providing calmness. Inside the museum a variety of journeys through the new galleries is enjoyable and varied in comparison to the industrial scale and atmosphere of the Boiler House next to it. There is a new bridge above the Turbine Hall linking the buildings from the fourth level of the Switch House, while also creating a spectacular viewing platform to the vast space and exhibitions below. From the tenth floor, on the top of the building, a 360º perspective opens to Saint Paul’s Cathedral and London’s changing skyline, and voyeuristic views of the exclusive glass-fronted apartments to the west surprisingly close. 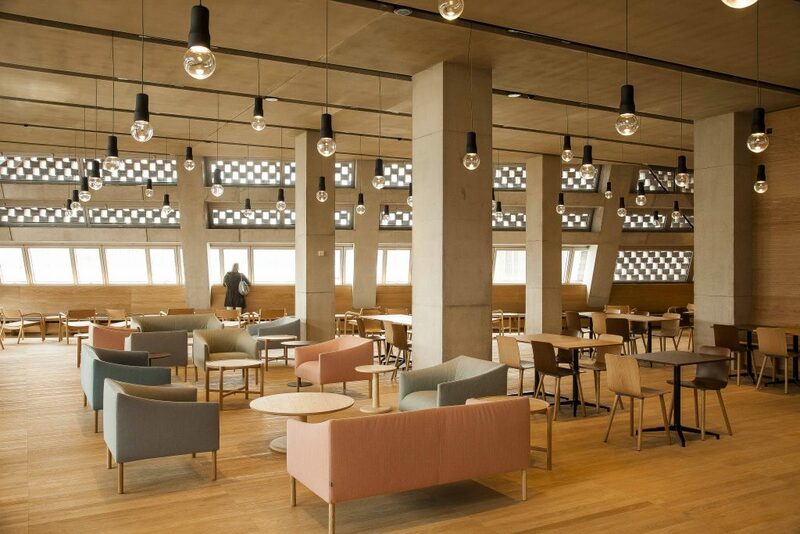 The Switch House adds 60 percent more exhibition space to Tate Modern, all dedicated to art produced after the 1960s, “when art became active with new dynamic relationships with audiences” as Tate Modern’s new director Frances Morris explained. 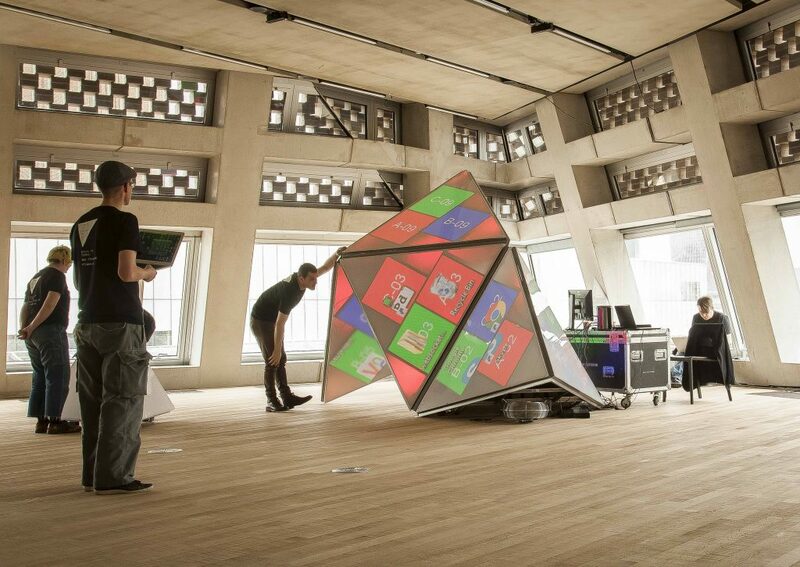 New events space Tate Exchange on the fifth level has commissioned an interactive digital installation for the opening weekend. Using algorithms it will monitor social media interactions and behaviour in the gallery. 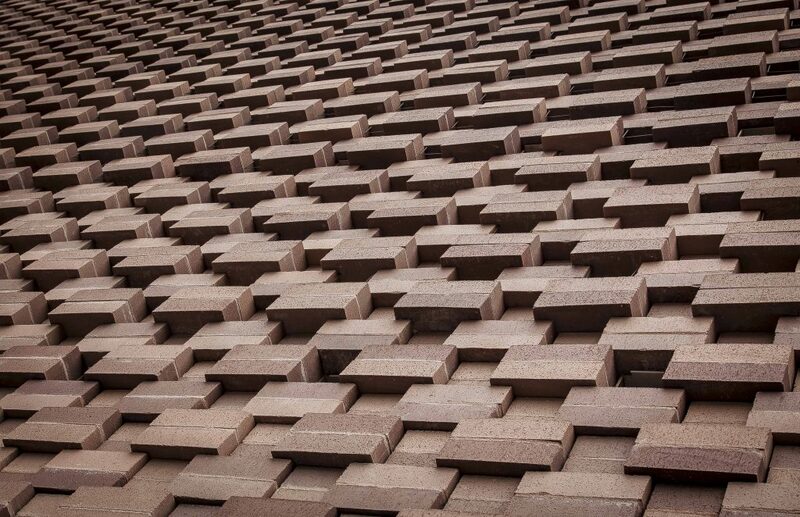 Elsewhere Carl Andre’s iconic minimalist sculpture made of 120 bricks is exhibited at the gallery themed ‘Between Object and Architecture’. There will be more works by women and international artists “a broader story of art “ – and expectations are high. The new Tate Modern, the ‘cultural cathedral’ in London’s beating heart, according to Tate chairman Lord Browne, has been made possible by the largest cultural fundraising campaign ever launched in the UK. 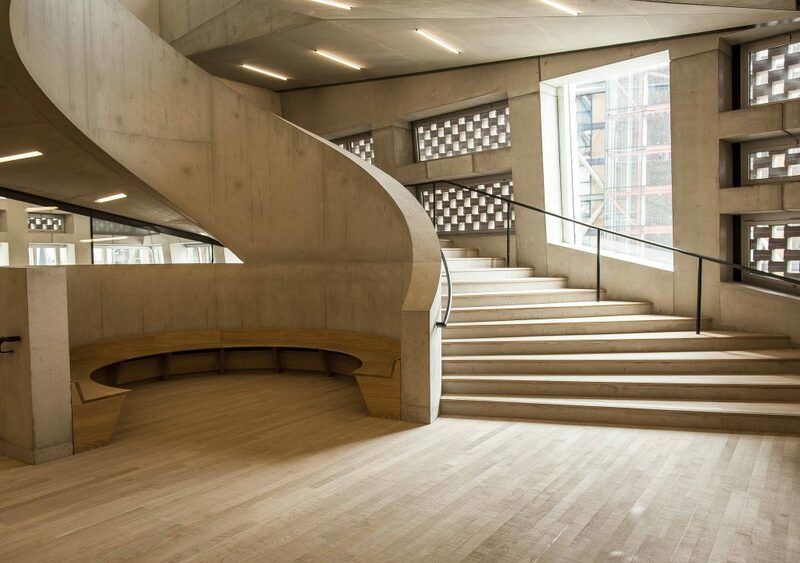 The great thing about Herzog de Meuron’s ‘cathedral’ is the humanistic and tactile dimension achieved by the new extension. Behind the imposing exterior, which is unique and no doubt a new icon for London, there is great sensitivity in the details, light and materials. It’s a form of Critical Regionalism, where the building’s context, including light, is truly considered.